My family and I were invited to the event and given a gift bag. All opinions are 100% my own. 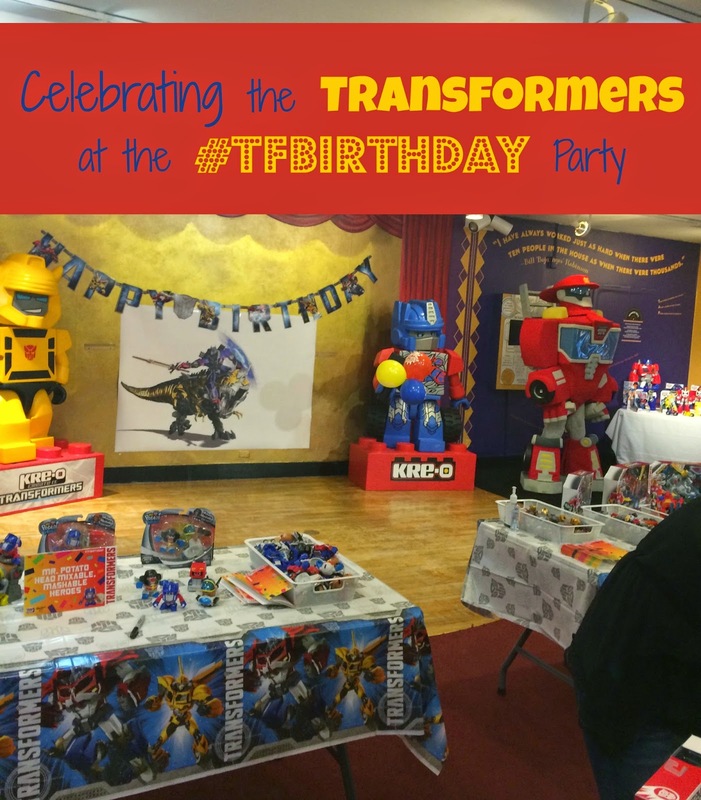 On Saturday my family and I got to celebrate with the Transformers at the #TFBirthday party in the Children's Museum of Manhattan. As soon as we entered the party room we were amazed at all of the great decorations and all of the toys! There were so many stations where the kids could just play and create. They got little passports to get stamped as they went to the different stations. The staff was so awesome with the kids and patiently showed my nephew and daughter how to play with each one of the different toys. 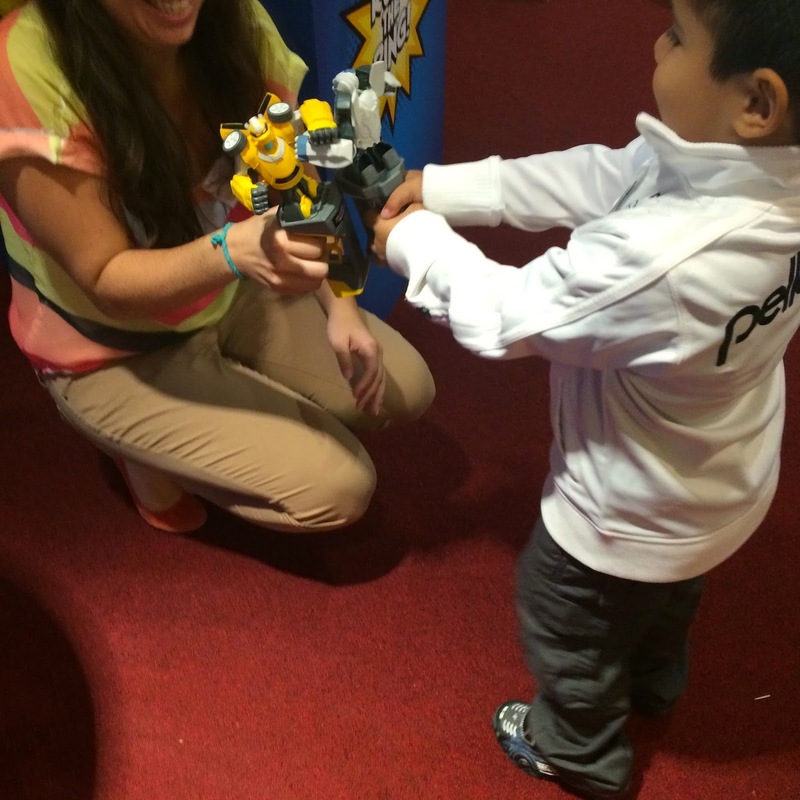 After they had fun playing with each toy they got to take their creations home with them! My daughter ran to the Mr. Potato Head station and stayed there for a while creating different Transformer Mr. Potato Head contraptions. At one point one of her Transformers had fire coming out from all over the place. 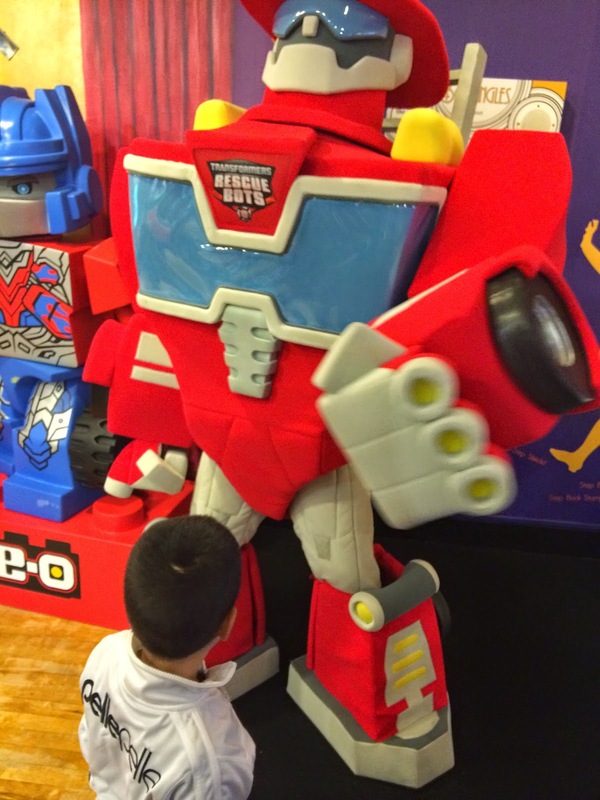 My nephew enjoyed the Transformers Construct-Bots the best. 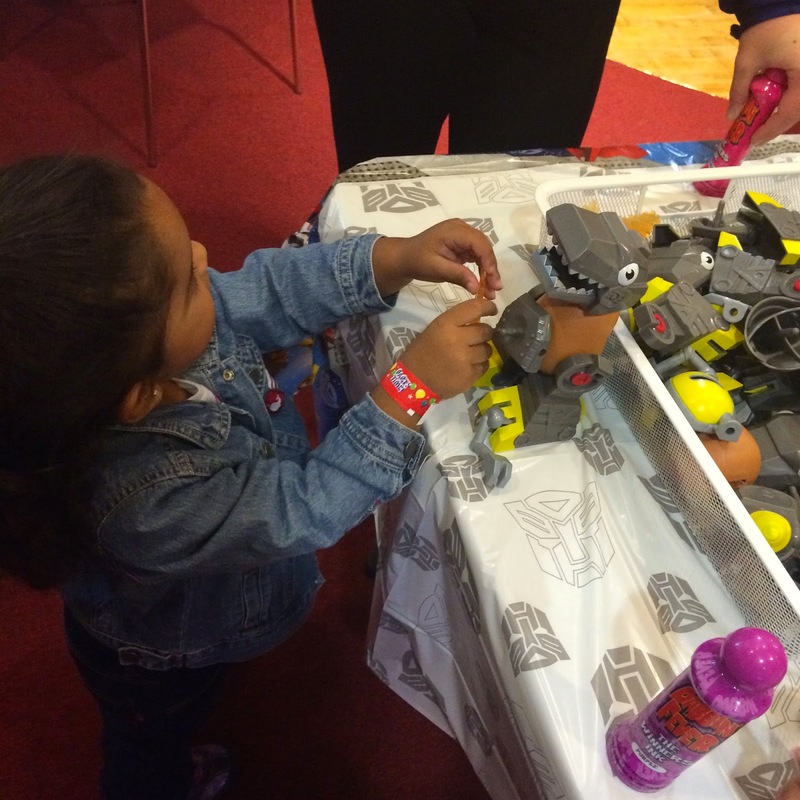 Thanks to Justin (@justinaclin) for helping my nephew create the Dinobots Grimlock. My daughter got to color her own "Roar" sign and of course had to pick every single purple in the crayon box to decorate her sign. 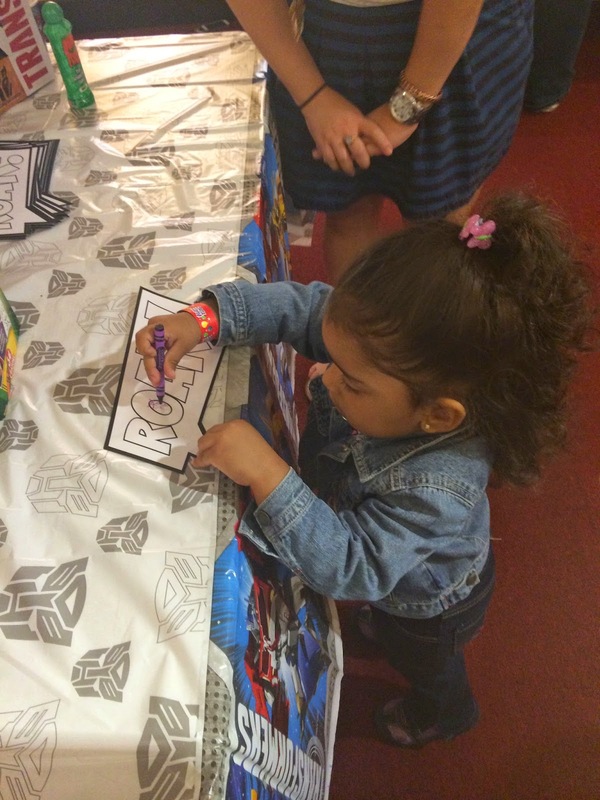 Then she got to put it up on the board with the other roar signs. The coolest toy of all the stations was the Flip and Change Transformer. With just a little flip the Transformer changes into a cool sports car. The kids (and me!) also got to play with Transformer Mashers, Kre-O Transformer Bricks, Transformer Rescue Bots and Transformer Battle Masters. There was also a super cool Rescue Bot Mascot that the kids got to take pictures with. It took my nephew and niece a little bit to warm up to him and then got to give him high fives and take pictures with him. After they got all of their stamps on the passport they got to exchange it for a cute goodie bag with tons of transformer favors. Then we all took a break and had some yummy lunch, juice and cupcakes. I knew my nephew was going to have tons of fun and was pleasantly surprised when my daughter has just as much fun. 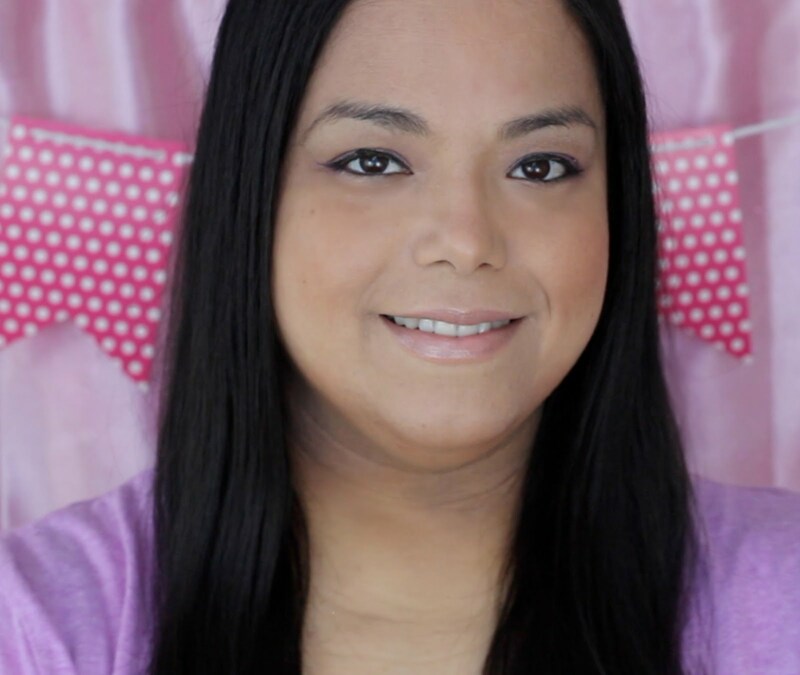 Transformers are not just for boys! That sounds like a real fun! Oh look at that. Isn't that a lot of fun. That looks like FUN! I have two little people who would have loved that. Looks like an awesome event and fun time. My son would love this. This would be right up my son's alley! 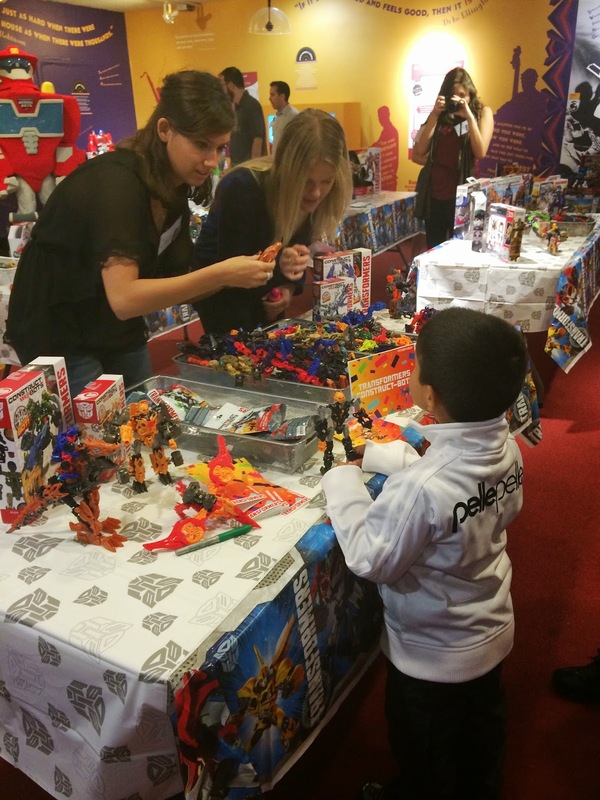 He loves everything legos and transformers! 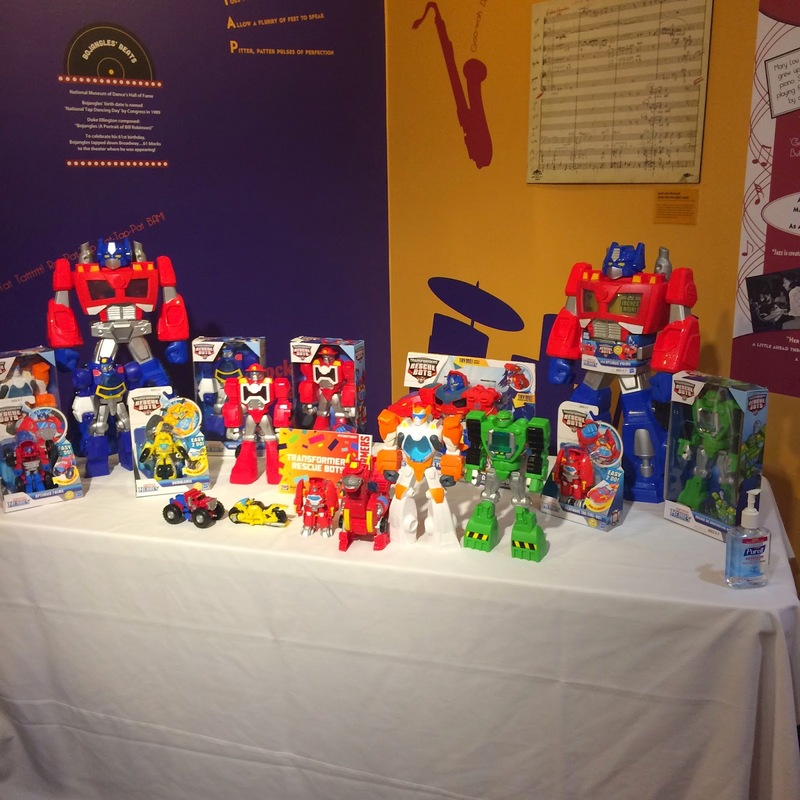 My son loves Rescue Bots so he would have loved this event! 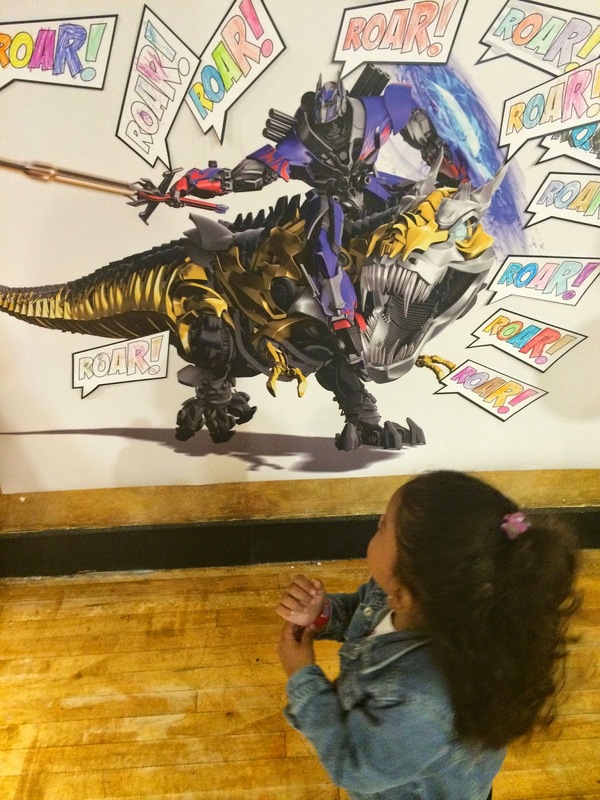 This is great, kids are obsessed with transformers these days! We attended the party also. My son really enjoyed playing with the transformers toys. Wow!! Looks like a great event!! That would definitely by my lil' dude's kinda event! What a fun event, my girls would have loved it! What a fun experience to share with your nephew! I'm glad your daughter enjoyed herself too. Wow! What a party! Looks amazing!